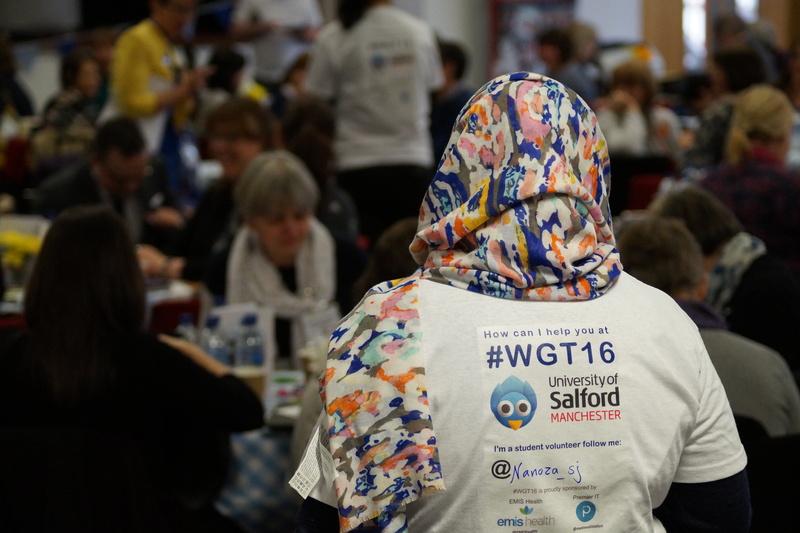 Has it really been a year since #WGT16 ? As we hurtle towards the end of February I have been thinking lots about this time last year and how we were busy plotting, planning, organising and doing in preparation for February 29th and WeGetTogether or #WGT16. And what a day it was! For me it was definitely one of the busiest days of my life …. lots to do, lots of people to connect with, lots to see. lots of cake to eat and lots and lots to talk about. The whole day seemed to whiz by in the blink of an eye …. however I remember halfway through the day taking time out to just sit and watch; I went upstairs to the balcony and just sat for ten minutes and observed. What I saw was pretty overwhelming; I saw people from all different backgrounds, with very different roles and pace in healthcare doing what we do everyday via social media .. connecting and talking. You might think “why was that overwhelming?” – well it was overwhelming because they were all under one roof …. we did it! We got together and we connected beyond our virtual spaces. It was overwhelming because I was just one agency nurse and here I was face to face with people I had connected with. It was overwhelming because here was the proof that we are not alone and we are all working together with a common purpose. 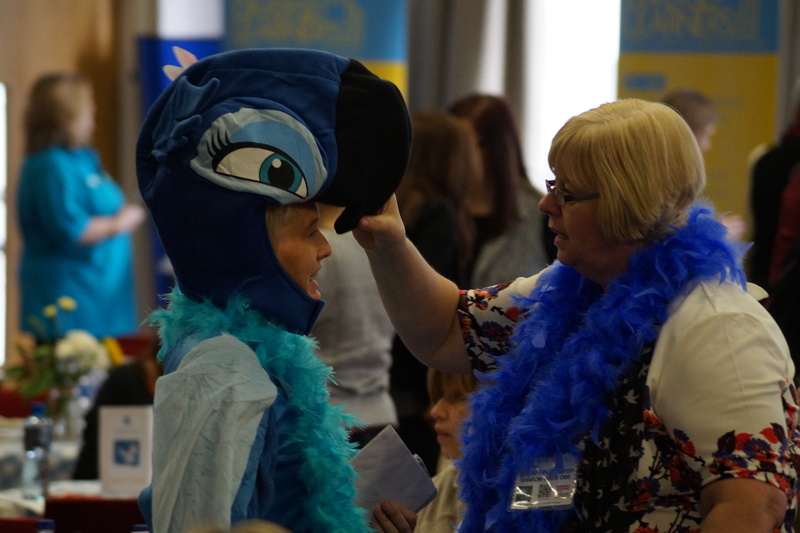 We had a jedi, a giant blue bird and feather boas in the same room! What would I change about #WGT16 if I had to do it all again ….. there is loads I would change and tweak. I would be braver in the planning and trust my instinct more, I would think more clearly about how we connect the virtual experience to the real experience and vice versa, and I would take more time to sit back and enjoy the time with the amazing people in the room. We said we would hold a #WGT every leap year …. so perhaps, if I am fortunate enough I can take these thoughts forward for #WGT20 ! But what came out of #WGT16, what did we achieve ? NOTHING!!! However I am not sure that this is a bad thing. Social media is living in the moment and what #WGT16 was about was living in that moment, in that space and that time TOGETHER …. and we did that! I feel that there is a lasting legacy to #WGT16 and that is the connections that were made, the friendships that were cemented and the conversations that we had ….. I came away feeling that if we can dream it then together we CAN do it ! Anything is possible when We Get Together !